A lot of business processes have been improved by ever-evolving technology. From production, operations, marketing, finance, human resources, web development, and the subsets of these business functions, everything is different now from how they were before. The sales function of a business has also been improved by technology. Concrete examples of how sales have been touched by technology are how there are a number modern-day sales tools that make it easier to do and to manage sales than ever before. Aside from LinkedIn Pro, there is another premium service that LinkedIn offers that caters specifically to salespeople – LinkedIn Sales Navigator. This tool provides users with comprehensive details of your prospects. It also equips you users with advanced search and filtering capabilities. 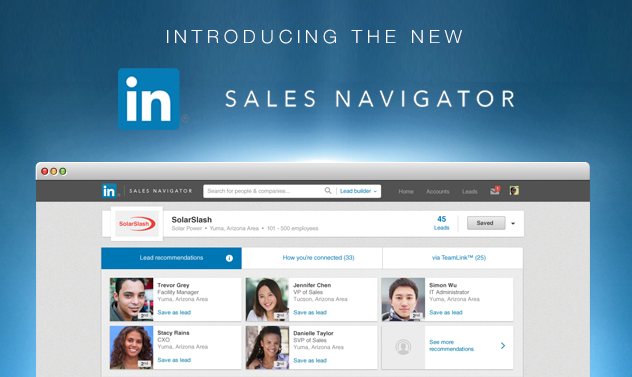 If you would like to give LinkedIn Sales Navigator a try, you can make use of the free 30-day trial offer. Afterward, you can get to choose between the professional account or the team account which cost $80 and $130 respectively. The team account has an additional TeamLink function and full out-of-network access. 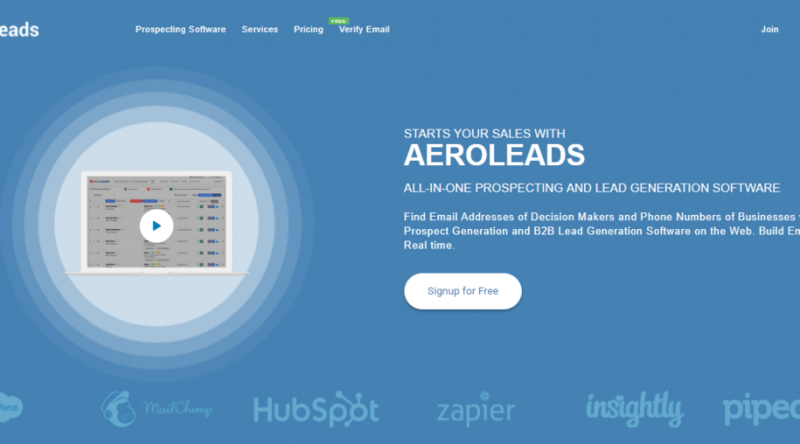 AeroLeads made itself a seamless platform that finds a way for you and your business’ potential customers to connect. This brand is made in our new generation and is expected to meet your goal. It ventured new tools that making its label standout, not to mention about its organic ways to make it less toxic and healthier to use. Another great thing from this tool is their Transfer function, it’s easy as counting numbers. Build your own prospects and choose your preferred CRM tool like HubSpot, Zoho, and Salesforce then you’re good to go. 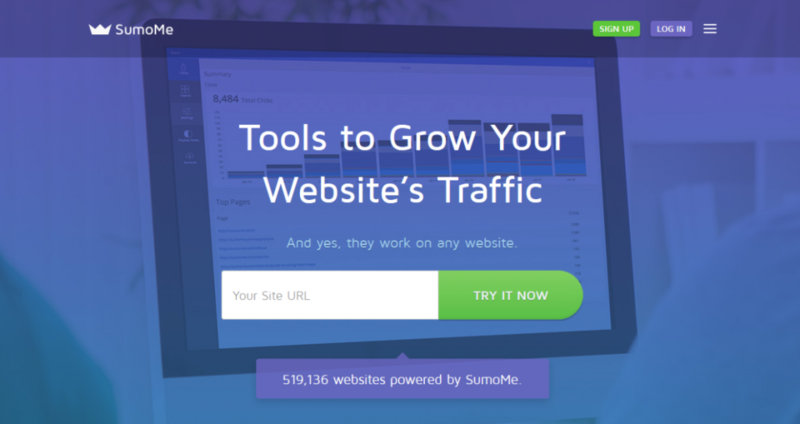 WordPress has great plugins such as SumoMe that can help you enhance your mailing list. SumoMe also has testing features that can help you choose which among your campaigns will be better off than others. There are also many different strategies that SumoMe can offer such as pop-ups that you can position anywhere on the page that you want. Another commendable WordPress plugin is Optin Monster that allows you to create email signup forms in a truly effective manner. Optin Monster works well with popular email service providers such as Aweber, Campaign Monitor, Constant Contact, Mad Mimi, Mail Chimp, and more. Optin Monster is also packed with other neat futures such as A/B split testing, page level targeting, exit-intent technology, and analytics and reports. Unbounce saves you from the hassle of coding, providing you with an easy drag-and-drop method of updating parts of your landing page. With this, you will be able to effortlessly customize your landing pages. Unbounce also has an integrated A/B testing capability so you can easily test your pages to see whether what you came up with is going to work in your favor. Survey Monkey is an online survey development tool. You can easily create and customize surveys in the free version, and if you will opt for the paid version, you will have access to data analysis, data presentation, and other premium tools. If you send out newsletters via email, then Mail Chimp is a better option. Mail Chimp helps you to easily create newsletters that you can later share on social media sites. You can also build your mailing list through Mail Chimp, so you can easily spread your email marketing materials. Furthermore, you can create and customize templates that you won’t need to start from scratch each time. Active Campaign is a full-package email marketing tool that also has CRM functionalities. Active Campaign will help you build stunning email campaigns with the help of their email designer. What’s good with Active Campaign is that it determines your audience’s behavior so it can automatically send your email marketing material at the best time, and with content that is best suited for the recipient’s interests. Active Campaign is one of the most trusted tools for online marketers so you should definitely give it a try. Close.io is designed and developed by salespeople to help fellow salespeople achieve their sales goal. Close.io takes away the time and effort on data entry so that salespeople can concentrate on conversing with current and potential l clients instead, leading to better sales performance. Close.io a good-performing CRM tool imbued with communication functionalities like VoIP calling and two-way emailing. Salesforce is a cloud-based CRM tool that offers lead generation, workflow management, and even more. Salesforce also has an app that can help in managing sales, automating marketing, managing relationships, and providing customer service. You can also track sales leads, as well as monitor your marketing campaigns.